Do you need to get away from the hustle and bustle of everyday life? This is the property for you. Find peace and tranquility viewing the lake and mountains from every room in the house. The sunsets here are the most beautiful we have ever seen. Whether it is ATVing, hiking, fishing, or moose viewing in the summer, leaf peeping in the fall, or snowmobiling, skiing, snowboarding, cross country skiing in the winter, this is the place you will want to be. Snowmobile and ATV right from your door. Saddleback Ski Resort is just 7 miles up the road. The quaint little town is less than a miles away. There is many restaurant most located less than a mile away. You can find any thing from Burgers & pizza to fine dining. If you never been to Rangeley this is the perfect place to try it out. If you've been here before this is the place for you to return. Book your vacation now. After spending years renting places in Maine to snowmobile we decided it was time to purchase our own place. We all loved Rangeley and decided thats where we wanted our second home. The most incredible sunsets from every window in the house. Peace and quite. Clear shot, nothing to obstruct view. Beautiful place with great views and easy access to snowmobiling trails. We rented Tim’s place for a family snowmobiling weekend. The place was perfect. Spacious, clean, and all the amenities you would need to be comfortable away from home. It sits on a hill with a georgeous view of Rangeley Lake. You can access the snowmobiling trails right from the driveway. And the owner Tim was incredibly nice. Called ahead to make sure we were all set to get in the house and again after to thank us for staying when we left. We would definitely love to rent this place again when we return to Rangeley. Great condo. So comfortable. Everything you need is there- and more. Beautiful lake view. We all enjoyed a 2 days there. 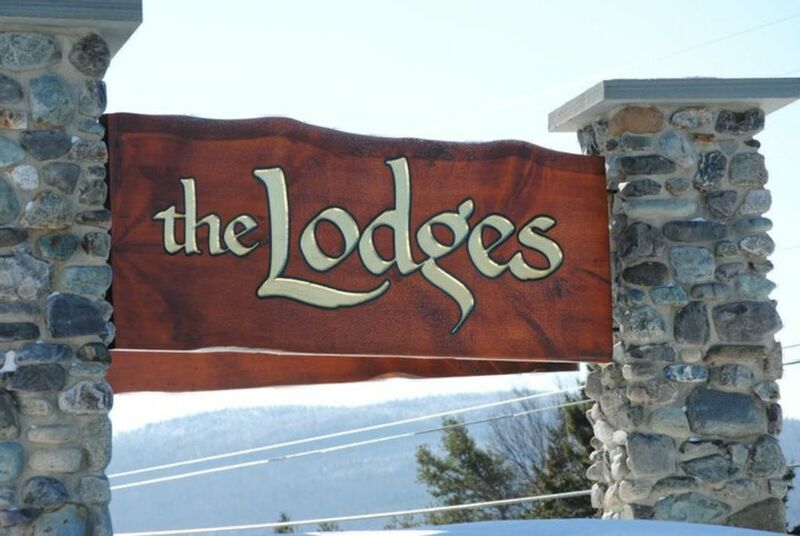 We had a great stay at the lodges. The condo was comfortable, spacious, and clean. The deck and views of Rangeley lake were amazing. The owner Tim was extremely helpful and accommodating. Overall I would highly recommend this property! We had a great time! The condo is very comfortable and had lots of space. The view, especially of the sunsets, was gorgeous. The kitchen was well stocked and we appreciated the grill. The condo was beautifully decorated. There were a few things that could be improved - several of the towels had holes, there were no bath mats, and there was a lot of expired food left in the refrigerator and cabinets. We also would have appreciated fans (the condo was very warm on the hot days). But, overall it was a great stay and there was a lot of fun things to do nearby!